LawBreakers was a first-person shooter title from Cliff Bleszinski's BossKey Productions that just couldn't catch a break. This weekend, the game's servers officially went offline for good. Shacknews salutes the folks at Boss Key for trying to do it for Shacknews last year with a new take on the hero shooter. Ex-Environment Lead Josh Rife tweeted out the sad news on Friday. One has to wonder what would have happened if the game launched simultaneously on Nintendo Switch last year, as we asked Cliff Bleszinski at E3 2018. Apparently the team at Boss Key had completed one final level for LawBreakers that never shipped. 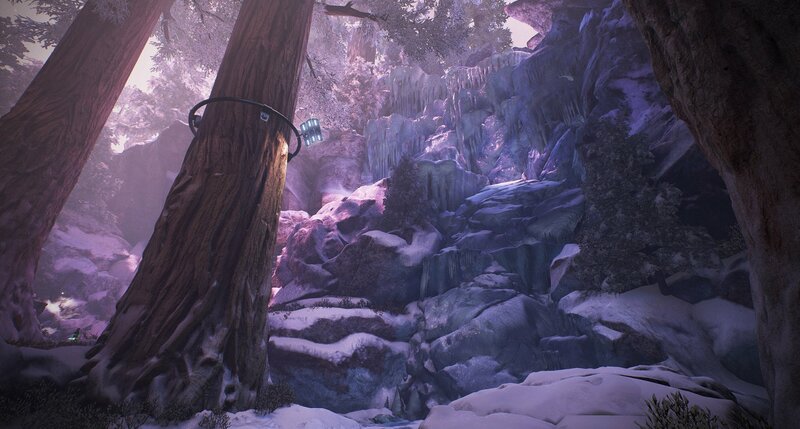 Rife also shared some images of the level which was titled "Valhalla." The level was designed to be even more fast-paced and built for advanced players. A major dig on the game was that it was almost too difficult. Cliffy B even described LawBreakers as "the Dark Souls of competitive first-person shooters." We are sad to see the game finally disappear into the darkness of defunct video games. The team at Boss Key Productions did their best and Shacknews will always appreciate LawBreakers for attempting to do something different. That's the first chapter in Part 2: Breaking the Laws of Coolness by the criminally hip CliffyB. But it did nothing that UT didn't already do but better.